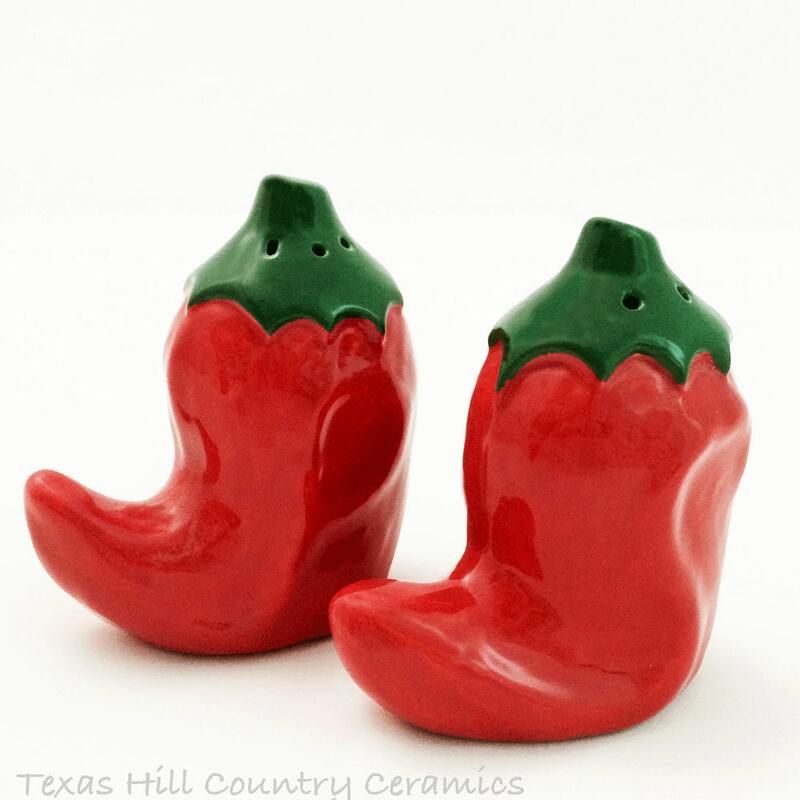 This set of distinctively shaped southwest Red Chili Pepper Salt & Pepper Shakers are made of ceramic earthenware. 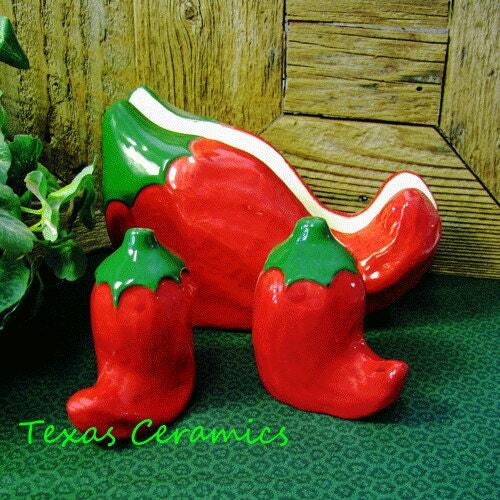 This set is a great way to add a touch of the New Mexico southwest to your kitchen or dining table. 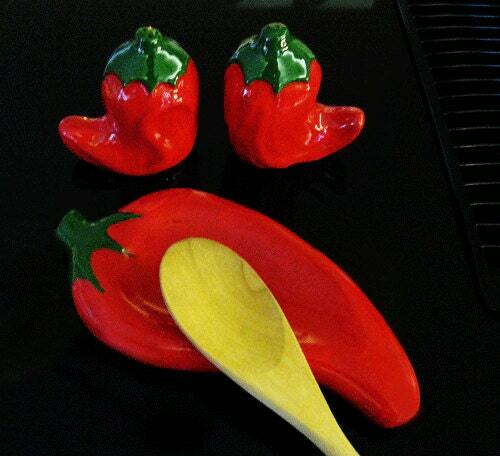 This set is also great for use at Cinco de Mayo celebrations. 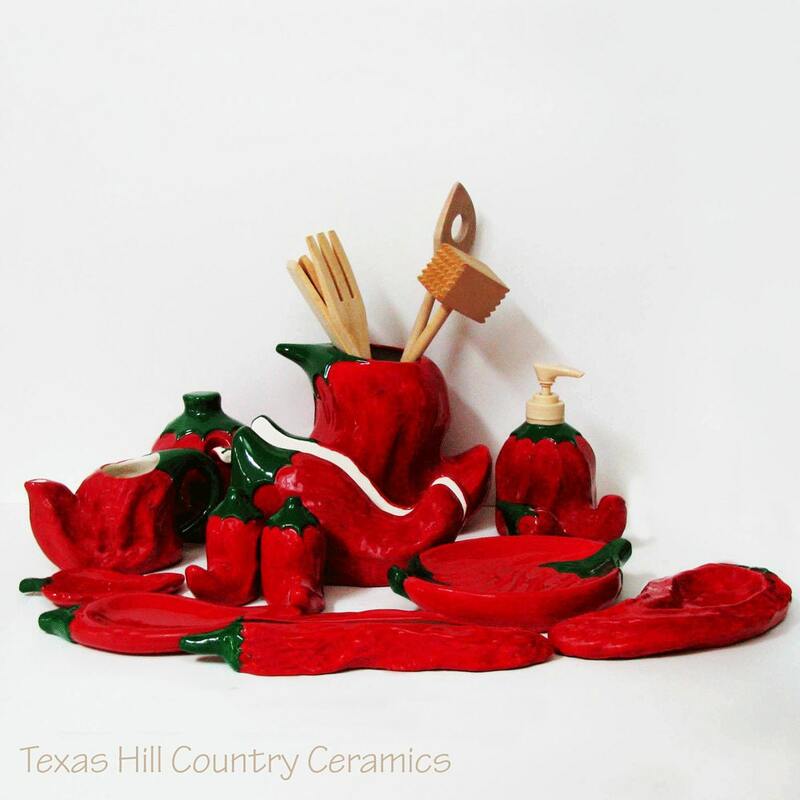 Each set of shakers is made of slip cast earthenware using a plaster mold, they are kiln fired. 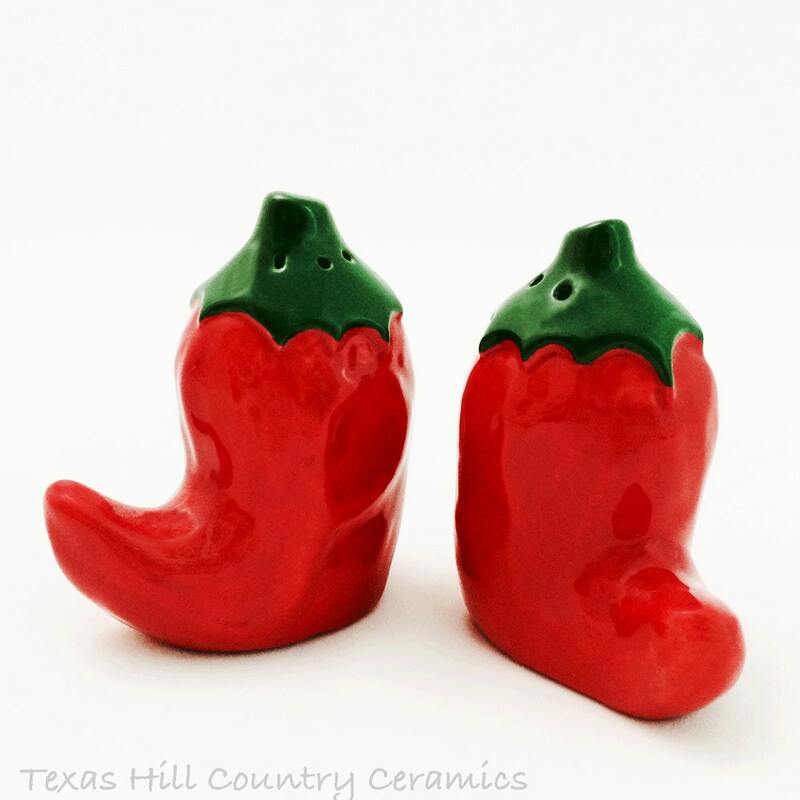 All glaze used on these shakers is food safe and non-toxic. Each shaker is fitted with a stopper in the bottom too. • 1 1/2 inches wide.